Apologies in advance for the lack of updates. Although this blog is enjoyed by an audience I appreciate, it is also my journal, and more reflection means more active thinking and effort put into improving myself by learning from reflecting. 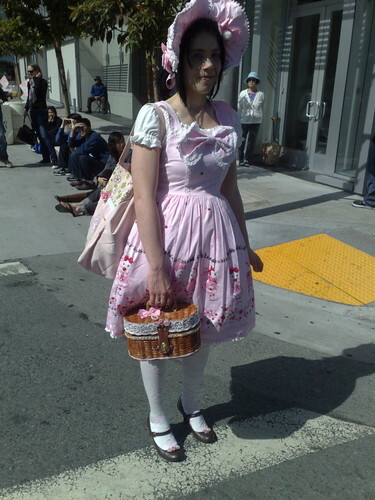 Last August 14 was San Francisco Japantown’s Nihonmachi Street Fair. Compared to the obon festivals in Los Angeles, I think it feels like less of a Japanese-American community event and more of an Asian-American event that uses the Japanese community center as a venue. The main thing that I noticed was that there were a lot of Chinese and Southeast Asian foods available, as well as associations for Dragon Boat, vendors hawking t-shirts and gifts, and political groups. Granted, this is on public street space, not within the confines of a temple like in the obon festivals I went to, so it felt a little less like a community and more like a marketplace. Notwithstanding, it was very enjoyable, from the food to the music. 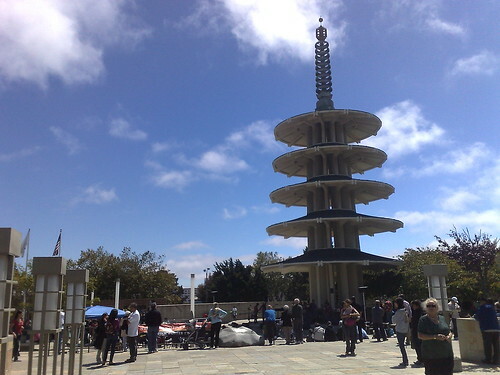 Since it was also part of a major street and landmark, the Japantown mall, it had more people, especially the many folks who discovered it by accident as opposed to seeing a festive building, amidst the dedicated people, including those imitating Japanese fashion and even some cosplayers. 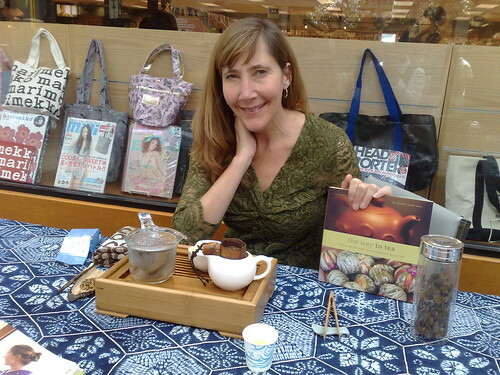 One of my highlights was meeting author Jennifer Leigh Sauer, whose book The Way to Tea and its website offer insight on the many fine places in San Francisco to drink tea. The oolong and green tea she allowed me to sample were extremely refreshing and relaxing–a mark of great tea. 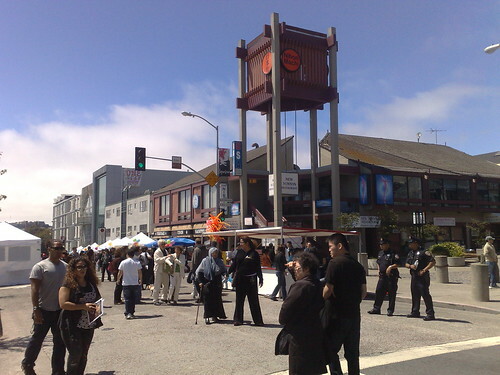 The real highlight of the street fair was Saturday’s performance by the San Francisco Taiko Dojo, which I recorded. Like any taiko performance, it has to be experienced in person, not just be seen in a video or heard on a CD, especially since it’s the oldest North American taiko ensemble, on top of being headed by the grandmaster himself, Seichii Tanaka, who also introduced taiko to America in 1968 in hopes of making it as common in the English language as karate and sushi. Accompanying them was the Hiroshima-based taiko group Kaburaya, who wish to promote peace, harmony, and great music as well as remember the horror of war–Hiroshima being one of the places hit by an atomic bomb in World War II by American forces in August of 1945. More of the taiko videos can be found on the taiko playlist from my youtube channel. All in all, Nihonmachi Street Fair was another great event to be a part of, even if just for the food, tea, and music alone. This entry was posted in Arts, Asian and Asian-American, Music, Travel. Bookmark the permalink.